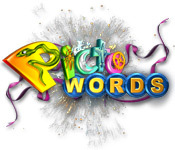 PictoWords is rated 4.6 out of 5 by 18. Rated 5 out of 5 by PeaGreenish from Put your thinking caps on . . . I got this game as a swap for one that wouldn't work for me on Windows7 so I chose carefully based on reviews. It is such a sweet game and I thank the other reviewers for steering me in the right direction. I think I am going to be having a lot of fun with this one. You need to be able to look at things from back to front and upside down. When it gives you the answer you have a "D'oh" moment. Lovers of that pictionary game will enjoy this. I will be looking forward to (hopefully) PictoWords 2,3,4, etc. Rated 5 out of 5 by Discordia33 from Excellent Exercise for the Brain!! I used to play text twist and was addicted to it but haven't found any other word games that really hooked me until this one! It sounds simple but sometimes it will leave you stumped! Rated 5 out of 5 by jmail1956 from ADDICTING AND SO FUN!!!! Love this game!!! Waiting for the sequel !!!! Rated 5 out of 5 by mrm2006 from Can you make sense out of pictures and letters? Yeah, me to. Or so I thought. LOL. I mean, seriously, how hard can it be? Who hasn't picked up a paper or "rag" magazine and done one or two? It ain't that easy folks. You are given a short tutorial. WATCH AND LEARN! You are given several pictures (don't worry, they start you off with one or two) and some letters (again, don't worry, they start you off with one or two). Now, make words - that make sense. Or, a string of words - that make sense. And not just one. To pass the level, there might be 6 or more. For instance, D and "rain" = drain. BUT, C and "rain" does NOT = crane. Get it? I LOVED IT LOVED IT LOVED IT. A real challenge. Unfortunately, due to an urgent telephone call I didn't get to play as much as i would have liked. Purchase it???? I don't know if I'm that brave cuz I sure know I ain't that smart - LOLOL. Rated 5 out of 5 by thimbles from Addicting! 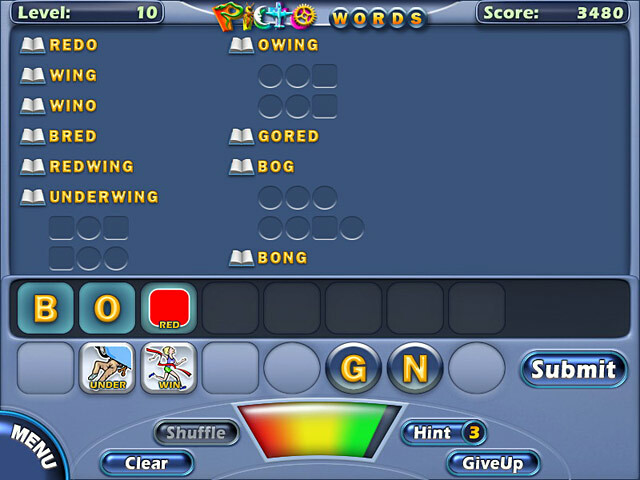 This game uses pictures and letters to make words. First you have to figure out what the pictures are. Then, for instance there might be a picture of an "out" door, and a picture of a "line". Put them together and you get "outline". Also available might be a "D", put all three together you get "outlined". There is enough variety that you can go through the game a few times before things get too familiar, and even at four times through, I am still having fun. 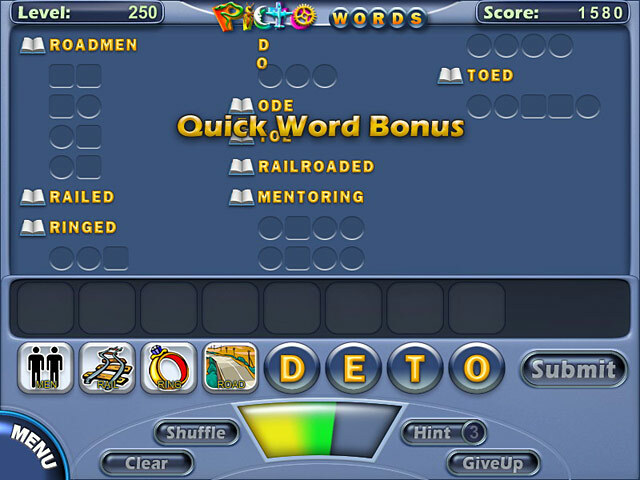 It also includes Bonus games which are phrases or sayings. I do know most of these, but it doesn't lessen the enjoyment of the rest of the game. Younger children may have a problem figuring out what the pictures are, but pre-teens and up # I am 66# should be able to do it. I recommend it highly. Rated 5 out of 5 by cheeky_monkey_ from Great challenge This game is a good brain challenge. You need to make words out of the pictures and letters presented. It really gives your brain a workout as you try to decipher exactly what the pictures represent. At first you are only shown the pictures. Once you make a word using a certain picture you are then given the word that represents it (i.e. one picture had a woman bandaging another person which stood for "aid"). Lots of fun. If you want something to challenge your brain, this game will definitely do that. Rated 5 out of 5 by Shelly718 from SOMETHING DIFFERENT! At long last, something different! This is a smart, fun, challenging little game. Easy to learn, addictive and really makes you think. I would like for it to have had harder Bonus Games and many more levels as I finished it way too quickly, but playing again from the start is fine too. Loved it!! Rated 5 out of 5 by frisco61 from Great Game I loved it. All that's missing is fifty more of them. And why not? Same game, new words. I'd buy them all! Rated 5 out of 5 by RubyTN from Great little thinking game fun and challenging -- starts easy then gets trickier -- you need to match tiles and letters to make AND spell words and phrases. Rated 5 out of 5 by Aus_girl from What's in a word? I love playing word games, and this one has made it to the top of my list. Part of the challenge is trying to figure out what word the pictures represent. The rest is thinking outside the box by using them to help form other words. Once you've solved a certain number of words in each round, you activate a choice to move to the next level - handy if you get stuck. To me, part of the challenge is in trying to work out all the words that they've found. Tip: in this game abbreviations such as EKG and MRI are used in the solutions (not really words, but that's part of the challenge). 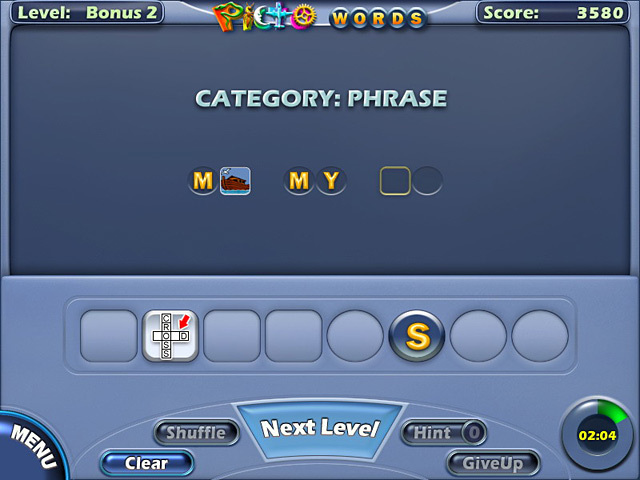 There are also hidden words which you can find which don't count as part of your solutions list but which do reward you with bonus points. You also get bonus points for not using the hint button, and for solving all of the words on their list. You really will need to give it a little longer than 2 minutes to get past the simple levels and into the more challenging ones - I'm up to level 63 and still loving it. If you like word games, give it a go.